Although it's a cream shadow, the formula and texture is like nothing I've ever seen before. The colors are beautiful and, unlike other creams, the shadow stays put and does not crease! 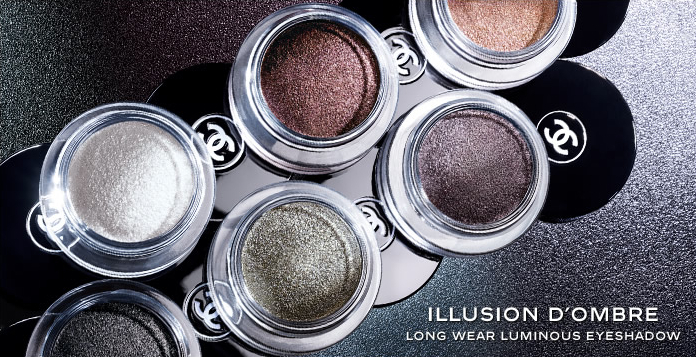 It can be used as shadow or liner, and it comes with the cutest little Chanel eyeliner brush. I suggest you try it immediately! My favorite shades are ILLUSIOIRE and EPATANT. So they are kind of like macs paint pot? Jessica, this shadow has a lighter texture than a paint pot, and it's kind of spongy!